Danny Duffy reacts after allowing a grand slam to Twins' outfielder Jake Cave in the second inning. It would end up as the decisive swing in the ballgame. MINNEAPOLIS — The Minnesota Twins‘ blueprint for 2018 included a dynamic young center fielder making great plays on defense and coming up with big hits. Of course, that role was supposed to be filled by Byron Buxton, once considered the top prospect in baseball. 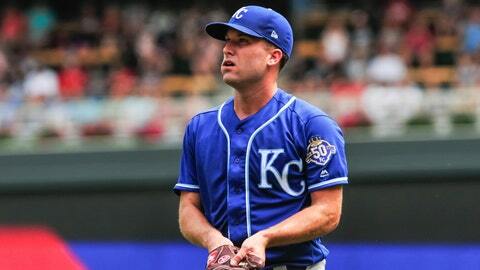 Rodney came on to protect a one-run lead and promptly gave up Whit Merrifield‘s fourth hit of the game leading off the ninth. But catcher Mitch Garver threw out Merrifield trying to steal second. Alex Gordon then struck out. Big sigh of relief, right?